alaTest has collected and analyzed 159 reviews of Amazon Kindle Oasis (2nd gen, 2017, 7-inch). The average rating for this product is 4.4/5, compared to an average rating of 4.4/5 for other products in the same category for all reviews. Reviewers are impressed by the size and battery. The usability and portability also get good views. Many are critical about the price. There are some mixed opinions about the screen. We analyzed user and expert ratings, product age and more factors. 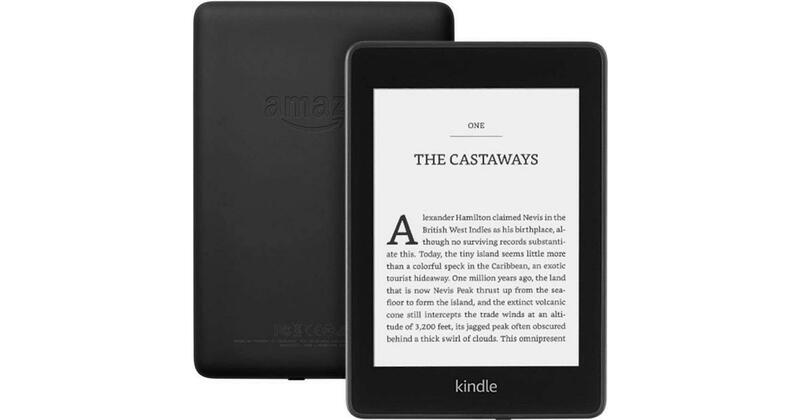 Compared to other products in the same category the Amazon Kindle Oasis (2nd gen, 2017, 7-inch) is awarded an overall alaScore™ of 98/100 = Excellent quality. In our all-new Kindle Oasis review, we put the popular ebook reader to the test to see if it's as waterproof as Amazon claims. The All-New Oasis packs all the most useful features of its predecessor, plus an even larger screen and minimized bezels — and now that it’s waterproof, there’s nowhere you can’t take it. The Kindle Oasis is the best Kindle ever made. But it's way too expensive for most people, especially when cheaper models offer the same sharp display and backlighting. The All-New Kindle Oasis is bigger than the original, waterproof, and beautiful to read. If you don't mind paying a premium, Amazon's Kindle Oasis is the waterproof ebook reader you've been waiting for. Beautiful design. Lightweight. Waterproof. Excellent screen. Long battery life.